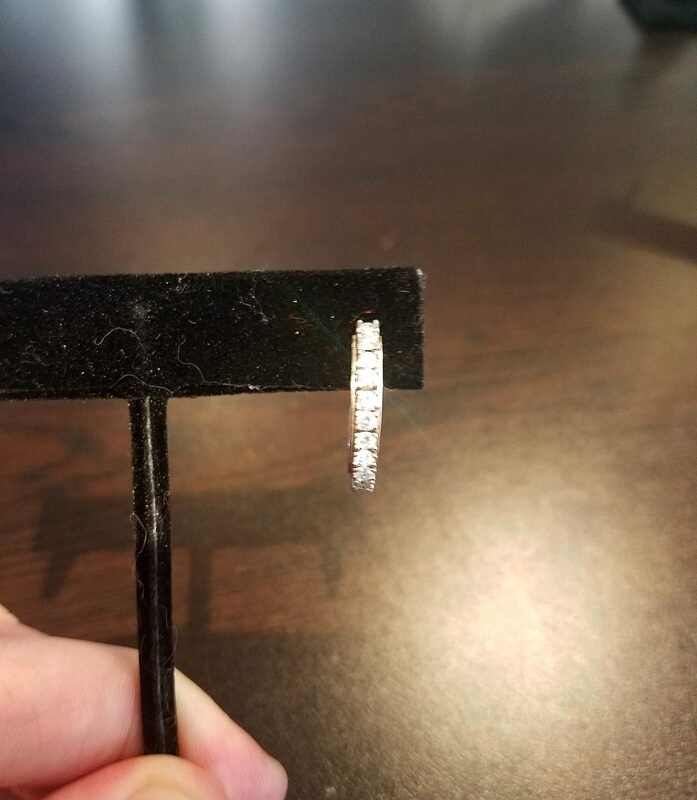 These 3/4 Carat Diamond Hoop Earrings are left over from the days before I learned CAD and wanted to carry an inventory. They are so nice that my wife has been trying to steal them, but I finally hid them!100% satisfaction and authenticity guaranteed. 7 day return period as long as they are returned in their original condition. Each of these has 17, 1.8mm, SI2-I1, IJ color diamonds that are white, eye clean, and fiery. These gorgeous 3/4 Carat Diamond Hoop Earrings are set in 14K White gold. It is a shame these pictures were the best I could get….Contact me if interested and I will try to get some better pictures. Sapphire Total Weight: .75 ct. approx. 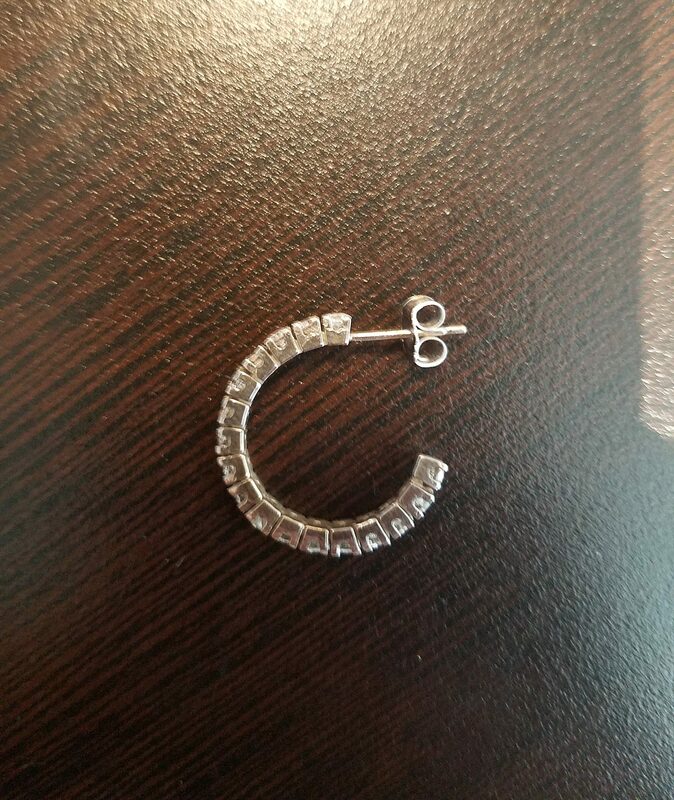 Click HERE for another pair of 3/4 Carat Diamond Hoop Earrings or contact us with your idea for custom earrings and will will start the painless process by getting some more information.